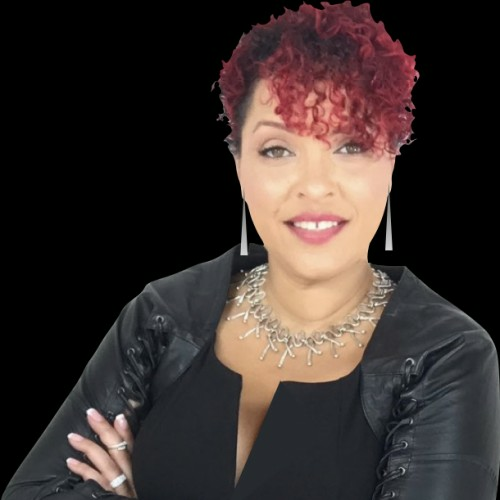 Dawnna is jet-fueled can of business acceleration whose 10x growth strategy is a tangible asset that boosts your business fast! ENTREPRENEURIAL FIRE: From Musk to Branson - entrepreneurs are a unique breed. They see the world differently and chase their vision with passion and courage. They know the rules don't apply to their success story. Entrepreneurs know that business building is for gladiators. As a rags-to-riches gladiator in her own right, Dawnna shares her personal expertise launching businesses inside big brands and as a bootstrapping entrepreneur. You will get a behind the scenes look at how transform your idea into a multi-million dollar business. You will think bigger and discover the secrets of mental toughness. And you will chart your winning course when you access the blueprint that has launched thousands of successful businesses. Are you the gladiator who risks all to seize opportunity? Then get ready to change the game when you harness your entrepreneurial fire. ************ ENTREPRENEURSHIP IS THE NEW COMPETITOR How Big Businesses Can Leverage Entrepreneurship to Stay Competitive Back in the day, big business had every advantage. Barriers to entering a market were all but impossible for would-be entrepreneurs to penetrate... especially in major industries. But that was then. Today's entrepreneur has access to a global customer base. They can move faster, get closer to customers, and build products cheaper than ever. Bootstrapped entrepreneurs like Lemonade, Uber, and Zani are shaking up industry leaders in insurance, transportation services, and retail. Your next big competitor could be the girl next door. Is your industry next? Are you ready? In this content-rich program, Dawnna shares how big businesses can rekindle and harness their own entrepreneurial fire to stay competitive and win. ********** 7 TRIGGERS TO YES Your words, your brand, and your products... absolutely irresistible Entrepreneurs must have influence. If they can't convince their prospect that they are worth taking a risk on, they will soon go out of business. That's why greatest entrepreneurs... the strongest marketing... the best sales pros ALL have one critical factor at the center of their success: The ability to influence. Marketing focuses on where customers are. Sales training increases customer engagement. But where is the formula that tells you WHAT to emphasize and HOW to communicate in a way that actually influences decisions? You just found it. The 7 Influential Triggers to Yes make your words, your brands, and your products absolutely irresistible. The formula is straight from science and it works to drive real results in every interaction. When you discover the 7 Triggers you will quickly have the skills to to be irresistibly influential. ********* YOU: THE GAME CHANGER Harness your unique competitive advantage and be the winner you were born to be Winners know that you don’t have to practice to be in last place. But to own the leaderboard you must think like a winner; act like a winner; and be the one who wants to take the winning shot at the buzzer… even if it misses. This winning mindset propelled Dawnna from homeless teenager to founder/COO of a $250M tech consultancy. She discovered that if she did what others wouldn't, she would live how others couldn't. In this hilarious rollercoaster ride of motivation, you will discover the 7 levels of the game-changing mindset and how you can use it to tap into your personal brand of boldness, embrace change, and harness your unique competitive advantage to own the winners circle.